Ras Chikuyu: Niabingi Idren, Was born in a rural setting on the Caribbean Island of St. Vincent and the Grenadines. He migrated to Toronto, Canada at the age of 20 where he put himself through school, married, had children and furthered a lucrative career as a Systems Analyst. He then formed a consultancy firm that diversified its offerings to become a leading force in grass roots initiatives that were based around community development. Chikuyu is an ardent believer that Community Food Security is a catalyst for poverty alleviation. He has enriched the lives of many in Canada and the Caribbean through his experiences as a Community Development Consultant, Soccer/ Football Coach, and Food Security Analyst. As a food Security Analyst he preformed the roles of Implementing Food Assessments, Asset mapping, Sustainable Organic Waste Management systems and a purveyor of urban agriculture and community greening. Chikuyu uses food as the nexus for Youth leadership and life skills in community development. · Development of peri-urban farming and community garden programs. Ras Chikuyu defines Rastafari as a “Contemporary Theological Social Movement”. 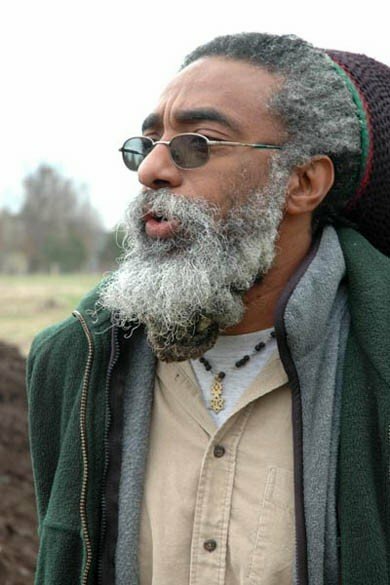 Ras Chikuyu was a coordinator of the 1st International Rastafarian Conference in Toronto July 23 – 25 1982 and Coordinator of the 2nd International gathering in Toronto July 15 – 24 1995. Ras Chikuyu has also devoted a substantial segment of his life to community sports and recreation as it gave him an avenue to keep youths focused, involved and aware of the importance of nutrition and health. He now serves as the Secretary General for the St. Vincent Soccer Association where he is responsible for working with FIFA and other partners to usher forward a successful development program. Why do Rastas say Overstand? Greetings in the name of H.I.M. Haile Selassie I! My Lord, appriciate the page with positive vibes, tellin di people of Jah the truth, leadin the way for di blind to see clear. Give thanks. I, follower of Rastafar I since years, lucky to been born seeing the truth right away, always keepin clean livity, clean heart. I respect di different mansions, but I no want to commit I to one, since I see uniting over dividing, u know? Anyway, some months ago I spent some time at di Bobo camp in Tarfo, in blessed Ghana. I felt di power of uniting I with bredren n sistren who follow di same path in life. I born in Scandinavia, n now staying here for two more years before going to my tru home again, am seekin for guidance in finding rastafar I communities around. I have looked, but not found. I give thanks for di guidance to come. Jah guidance n protection everytime. Selassie I live in all our heart. I N I here in South Africa Meyerton Farms own a piece of 5 Acres of Virgin land,which INI Queen,Princess & Bra inlaw are cultivating Organic Ital for Bizness,I man a true Binghi Warrior with INI Roots from the Maroons dem in Zambia & Zimbabwe who refused to be Conquered by the Shitstem.Therefore INI are carrying on with the Works of Self Reliance and Self Sustainance that was inspired to INI by Marcus Mosiah Garvey.Let HIM be praised Itinually.Jah Rastafari.Please Link INI with Elder Chikuyu along those Organic Farming Works.Nuff can be done hereso in Africa.As Afrika is still awaiting for its Creators. Ras Lojuron waweldo selassie I.